Living in NYC our mode of transportation is via the bus or train. Since we live about 20 minutes from school, I try to encourage walking as much as possible. This can be challenging with my four-year-old who starts out with a peep in her step only to deflate to a meltdown. Things are better now that she is scooting in the new Radio Flyer GrooveGlider. To make this experience fun she has also been gliding her way to school in the cool new Radio Flyer GrooveGlider. Created by Radio Flyer, maker of the iconic little red wagon, this innovative scooter combines outdoor movement and activity with technology that includes a built in MP3 speakers and Shockwave (FLEXDECK technology for bigger jumps). 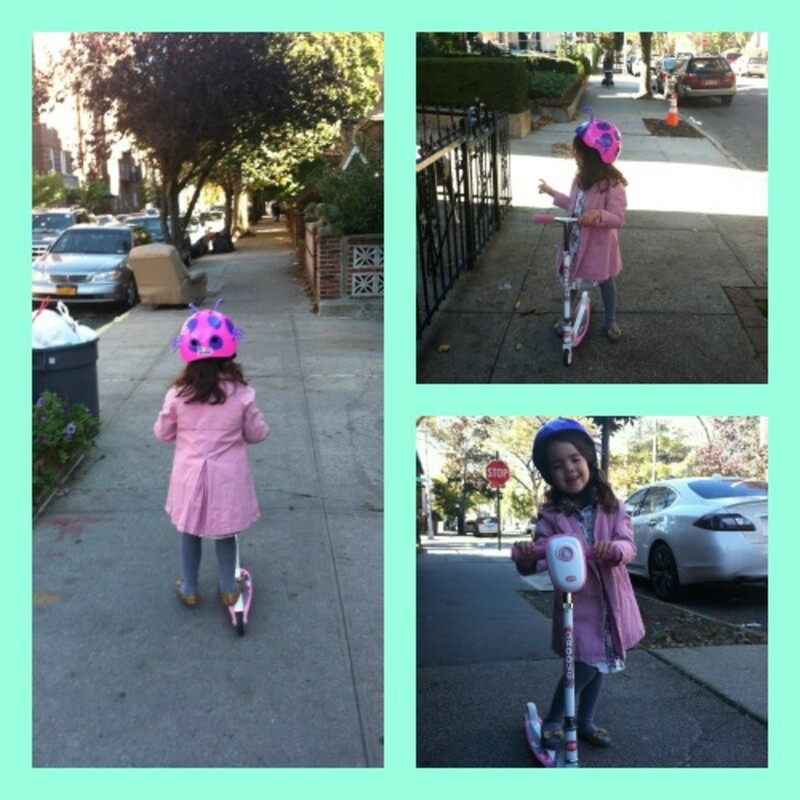 Designed for girls and boys ages 5+, my daughter loved the pink scooter that has a wide base and various components for listening to music, movement and socializing. My daughter loves that she can attach my iPhone to the built-in speaker and listen to her music throughout our neighborhood. This speaker also happens to be weather resistant so I don&apos;t have to worry about the elements or when the scooter drops to affect my scooter. She also comments how easy it is to glide and move about on the scooter as well as how smoothly the handle bars feel. I also love that this scooter grows with children bodies thanks to the three-position handlebars that can easily adjust. Boys will also love the new addition of scooters with models like the Shockwave with its built-in suspension to enhance jumps and the Pro-Glider that makes turning and movement easy for those three and up. Whether you are looking for a cool holiday present or need a new way to get to school, the Radio Flyer GrooveGlider is a fun scooter for kids that is all about movement, smooth rides and getting kids moving.